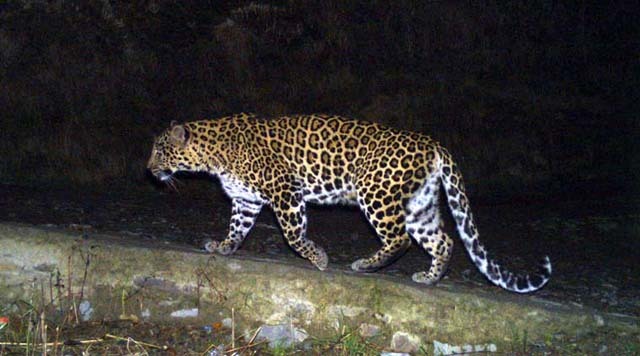 Darjeeling: Two persons have been injured in a leopard attack in Majwa Bustee in the Kurseong sub-division of Darjeeling district. The condition of Kali Tamang is reported to be critical and she is undergoing treatment in a private nursing home in Siliguri. The second victim Rajesh Rai is being treated at Kurseong Nursing Home. Talking to mediapersons, Rai stated that at around 3 p.m on Wednesday, he was collecting firewood near his village, when he heard the screams of a woman. He rushed to the spot from where the cries for help were coming, to find that a leopard was attacking a woman. As he rushed in to help, the leopard attacked him as well. Later, the leopard left the two and disappeared in the nearby woods. "Till now the leopard was attacking livestock and taking away the hens and goats from the village. Now it has started to attack human beings. There is utter panic in the village. Most, especially the children, are being forced to remain indoors," stated Mahendra Thapa. Complaints have been lodged with the district administration and the forest department. "We are looking into the matter. Traps will be set up," said a forest officer. of a leopard cub was sighted at Section 3 of the Oodlabari Tea Estate in Dooars on Thursday. The forest officials arrived after being informed by the workers. Post-mortem was conducted on the 5-month-old cub to ascertain the cause of death. Two persons have been injured in a leopard attack in Majwa Bustee in the Kurseong sub-division of Darjeeling district.